Ok, I have the final if everyone likes it. I will cut it over the weekend. 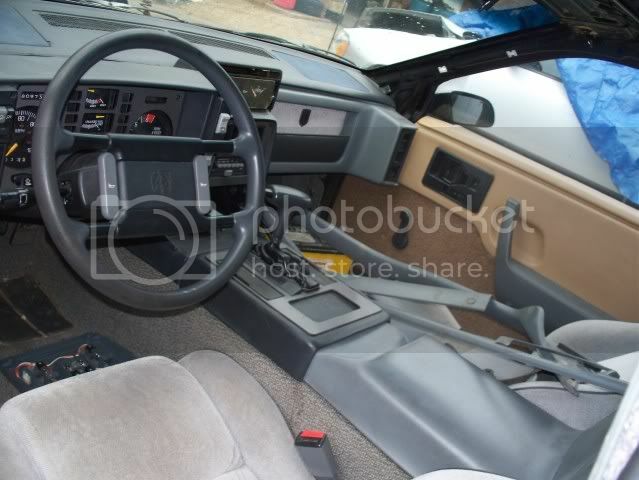 Alright what do we need of a grey interior that i can 1 either fit on a plane 2 if its to big someone can get it shipped out there. 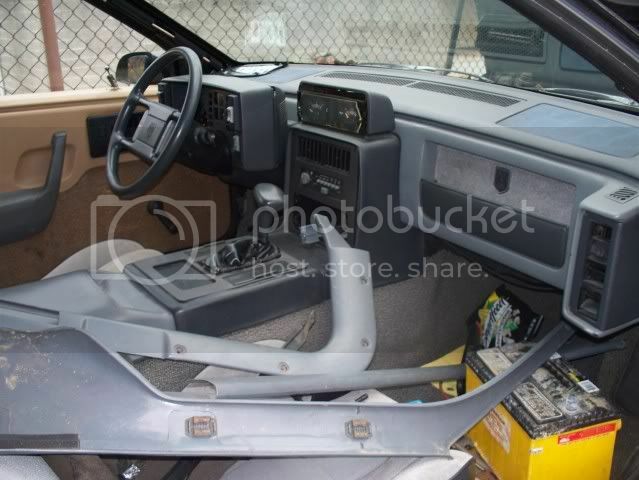 I need absoltley nothing but the gauge cluster and bezels out of the interior of my old GT conversion. So let me know what were going to need. That looks GREAT Lloyd. That is perfect. The shift surround is in good shape on your parts car by the looks of it. Bring that, the radio bezel if it is in good shape (Yes, I did just go there). Pack the surround solid so it does not break. The AC controls (they look cleaner than what is in there), and if the sunvisors are solid, with minimal to no sag to the cloth and no staining... Those too. I agree, the design above is awesome EVERYTHING about this is amazing, I have to agree with what fieroguy said, "this has got to be the most amazing display of human compassion that I personally, have ever seen"
You read my mind!!!! haha that is exactly what I had in mind. VikingRedBaron thought that would be good too. These guys will get a kick out of it I will stop over at zorbaz for lunch tomorrow and talk to them see if they will throw in some pizza's and the fiero guys and us will buy our drinks or something like that. The shifter shroud i can deffenetley do. the radio bezzel ill see if i can find one in the yard. Lol cant give the one in there up because this cars going back on the road but I think I might have a radio bezzel in close to good shape around here. And that hvac unit was having problems when i gave the car up so i dought anything has changed now. Im making a yard run so synthsis get me a list of what we need and ill grab it. Nick (Lynxer) and I were talking of this very same thing tonight on my way home from work. Zorbaz would be perfect. Nick said he was gonna look into it and see what they could do for us. I need a family member close to the action to contact me ASAP if at all possible. Tonight would be good for me. 612-605-8993. It will ask for your name before dialing me. Need to know two things.. Please call. That design looks great for the map cover!!!!! I said this a few times, but you guys continue to amaze me It's just getting better and better!!!!!!!!!!!! Are we still needing headliner material? I have to go through St. Cloud next week and can pick some up. A yard of grey? I believe Kev has the material. We should be good to go on that. But thank you. Everyone that will be on-site (Sat) please PM me your shirt size. I'm working on a little something. Everyone please PM me your shirt size. I'm working on a little something. The people participating in the on-site work? This song has been running through my head all day. VERY over played, but the chorus fits this mood perfectly. Maybe we should have Pete do an MFF e-mail broadcast to give the club an opportunity to donate items or labor to the project. Waiting for the monthly meeting on the 16th might be too late for people to change plans. That is a great idea Jeff. I spoke with Tyler and his family tonight. With everything going on up there and around here on the forums, I am going to reduce my contact with the media. I think they need a little bit of time to settle back into the daily routine. Also, please check the first post. I have added business names and numbers up there for the local businesses helping out. Transportation, Lodging and the like are in there, so if you need a pickup from Fargo, and a place to stay, the info is up there. TONS of sponsors, just browse through here and see who has donated what. Everything I was able to get a company involved with is posted in here. You guys are all saints. This forum gives me hope for humanity. We should all pay attention to the companies that are donating and if we need their services in future we should go to them. I think it show a lot about who someone is if they are willing to help a total stranger. I just sent a email off to Pete about this. 2.5. I need half a plain ticket to get out there. I'm trying to work it out. Like I said. Will trade fiero parts for airline miles. You got a 86 GT LH rear Tail Light lens For Sale or Trade? Sold them about 2 weeks ago. Im assuming they dont have WAWA's out there so i will be bringin about 6 half gallons of there ice tea with me. Anyone else want a half gallon of the best ice tea in PA. I know i cant function without it. ok im using my boyfriends thingy on here, but i was wondering what parts were still needed, i know ty he is from my home town, and i would love to help out! Im going to try and track down a taillight. I cant sapr the one i have because of me buying back my old car. lol no I dont. i tried calling you to. 530 401 1913. Is that the # u called?